Nothing gives the appearance of a quality home more than built in furniture. 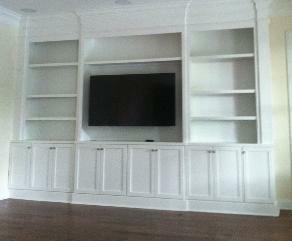 Even a simple built-in mantel or bookcase can change the entire appearance of the room. 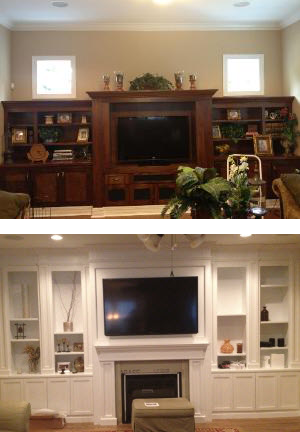 Gloger Construction specializes in custom furniture in the form of bookshelves, bookcases, china cabinets, dining buffets, family room wall units, library cabinets, fireplace mantels, wine cellars, display cabinetry, home entertainment centers and more. 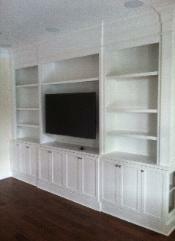 Custom furniture adds a special something to your home. You won’t see the same piece of furniture at a neighbor’s house or in a furniture store or catalog. It is unique to your home and particular style. You’ll enjoy the finished product and it’s elegance and beauty for years to come and custom built-in furniture often increases the value of your home. Contact Gloger Construction today, we are happy to listen to your needs and provide you with ideas, suggestions and a free consultation.